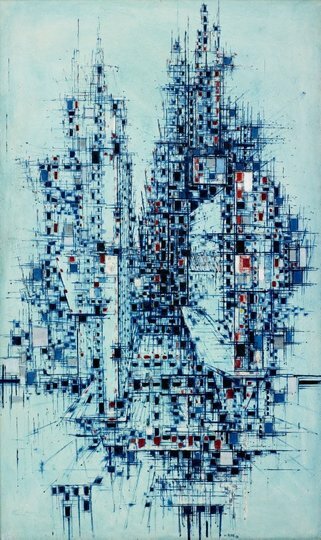 A fiercely contested debate over abstract and figurative art erupted in Australia in the 1950s and ’60s. 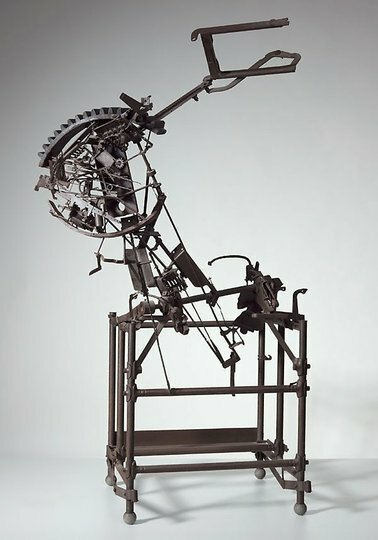 It arose largely in response to the Direction I exhibition held in Sydney in 1956, which featured non-figurative work by Robert Klippel, John Olsen, John Passmore, William Rose and Eric Smith. 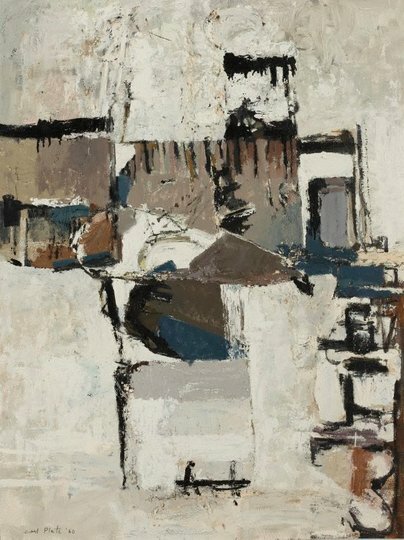 Although formal abstraction had made its mark in Sydney as early as 1919, it was not until the 1953 show French painting today that the gestural forms of art informel painting were absorbed into the stylistic repertoire of Australian artists. 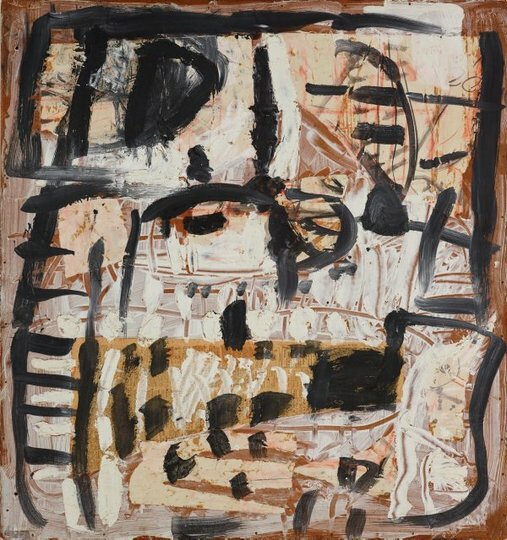 Precursors to this lyrical form of abstraction included the celebrated painter Ian Fairweather, whose distillation of Aboriginal and Eastern art practices was particularly influential on younger artists. Among them was the painter and former Gallery deputy director Tony Tuckson, whose interest in Australian and Melanesian indigenous art had a profound impact on his work. 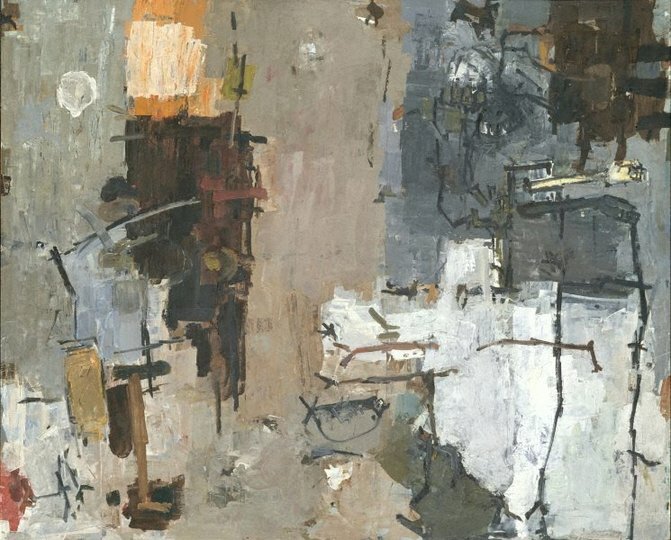 In 1960 the Sydney 9 group was founded in direct opposition to the Melbourne figurative artists known as the Antipodeans. The group held exhibitions in both cities in 1961 – provocatively arriving in Melbourne by helicopter – and recruited young-gun art critic Robert Hughes to write the catalogue. 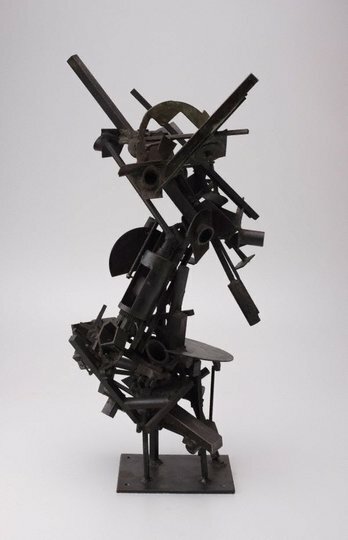 Eastern calligraphy, Zen Buddhism and action painting informed the eclectic works produced by the artists, among them the sculptor Clement Meadmore. The central figure of the boy king in Roi soleil asserts his divine status with the gesture of his hand. His image reappears in successive layers on the board, emphasising his presence and authority. The bottom half of the composition suggests the subject is seated on a buffalo. 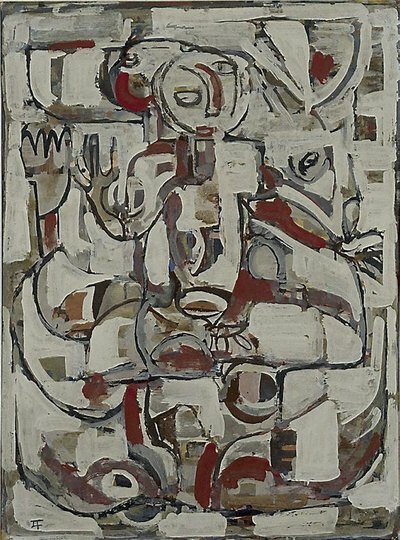 The first of Ian Fairweather’s large paintings, Roi soleil was painted in the summer of 1956 when he had just finished building himself a new hut on Bribie Island which, though primitive, greatly improved his living conditions. 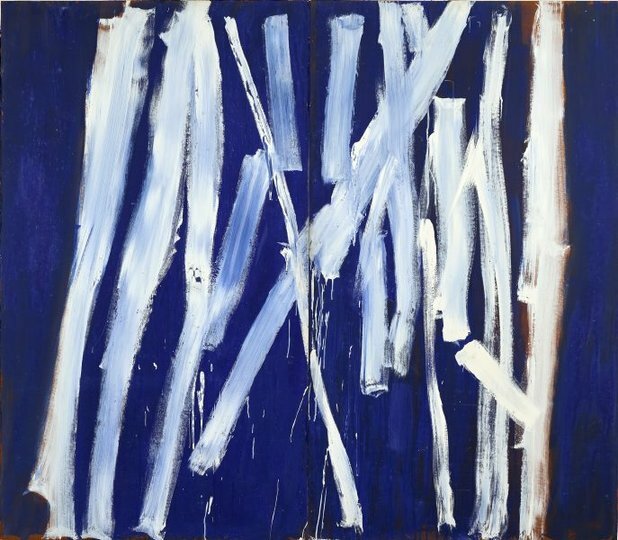 It is for his later paintings such as White lines (vertical) on ultramarine that Tony Tuckson is admired as one of Australia's finest abstract expressionists. 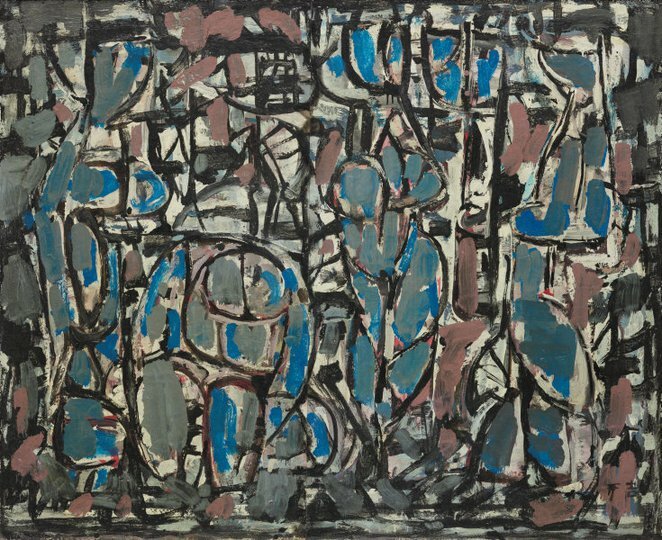 From the late 1950s, he used increasingly simplified forms and restricted colour to concentrate on the act of painting. 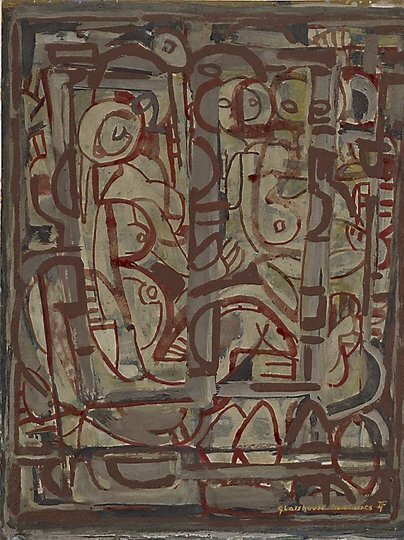 While absorbing developments in European and American abstraction and admiring the work of fellow Australian artist Ian Fairweather, Tuckson's approach is perhaps most strongly allied to his lifelong interest in Aboriginal and Melanesian art. 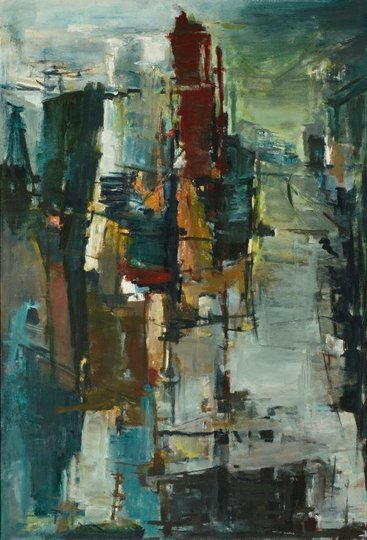 Lewers studied with Australian painter Antonio Dattilo-Rubbo in the late 1920s, and the Central School of Arts and Crafts in London in 1934. 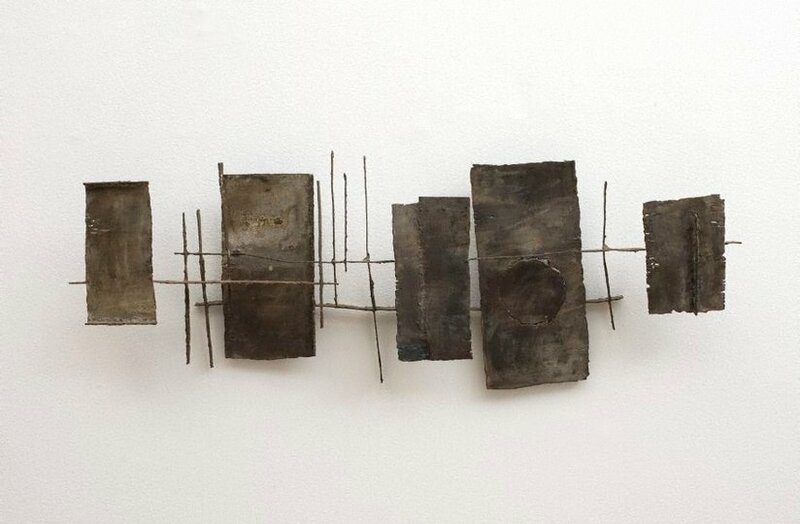 There, she was influenced by leading abstract artists including Barbara Hepworth , Henry Moore and Ben Nicholson. 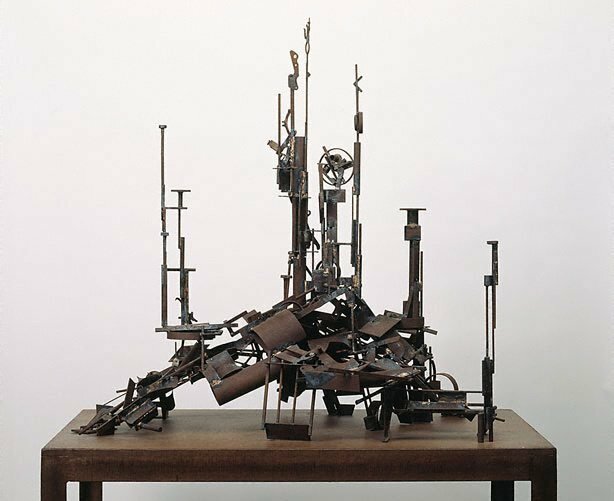 Upon her return to Sydney she became active, with sculptor-husband Gerald Lewers, in the Sydney branch of the Contemporary Art Society of Australia, which was committed to the propagation of modernist ideas. 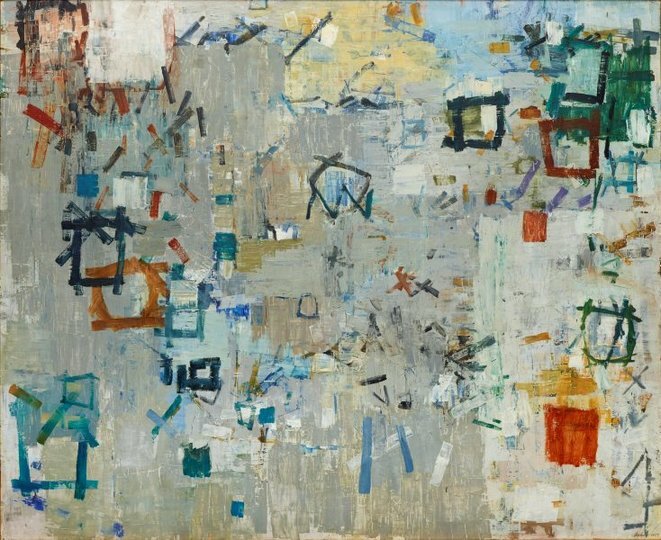 Lewers' commitment to abstract painting was amplified by her preoccupation with light and her desire to explore spatial ambiguities by means of this element. In this work, the intersecting lines and patches of colour suggest a city building, and she was inspired by a cityscape on her visit to Japan the previous year.